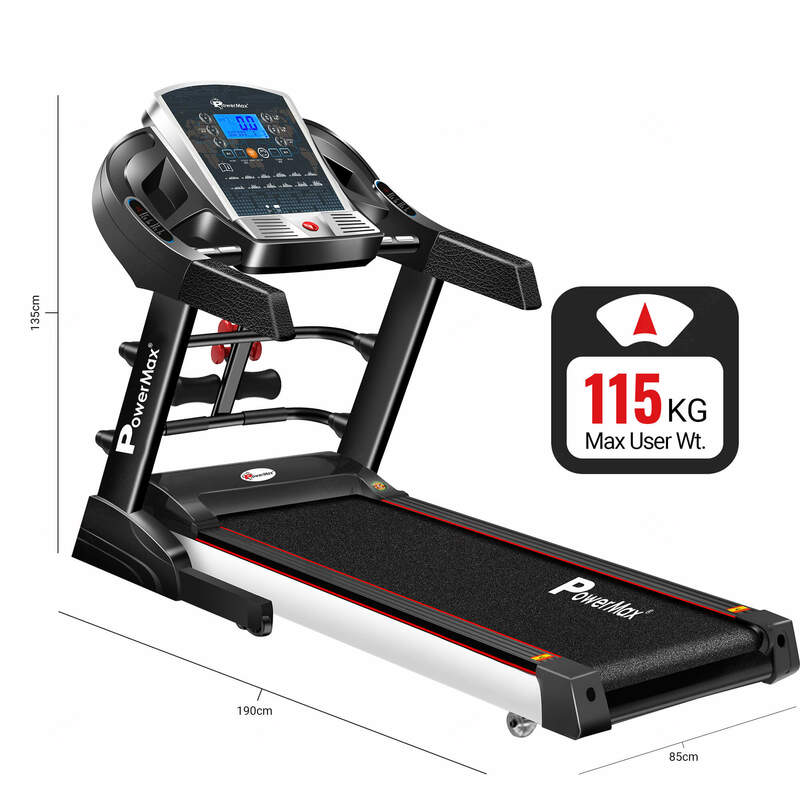 The Powermax Fitness TDM-125S Multi-function Treadmill with Smart Run Function offers the 2.0 HP DC Green efficient motor along with the width running surface of 1260 x 420mm. 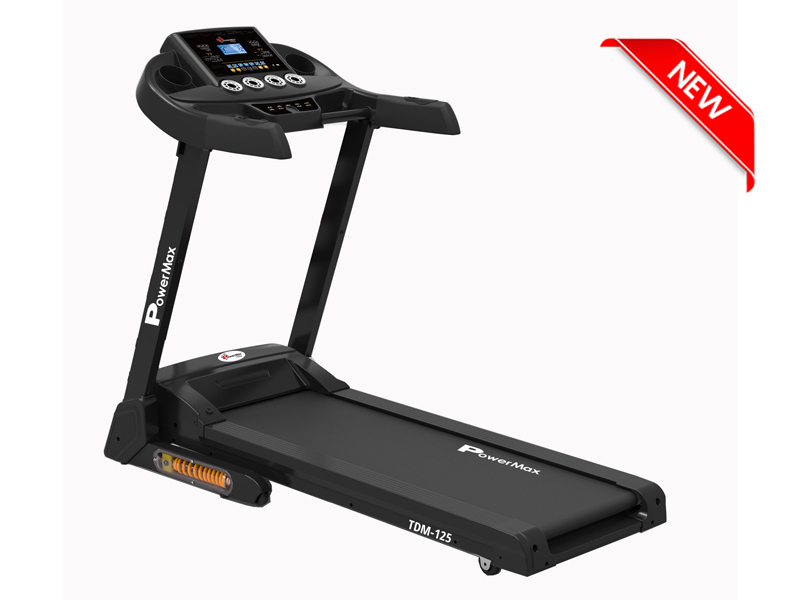 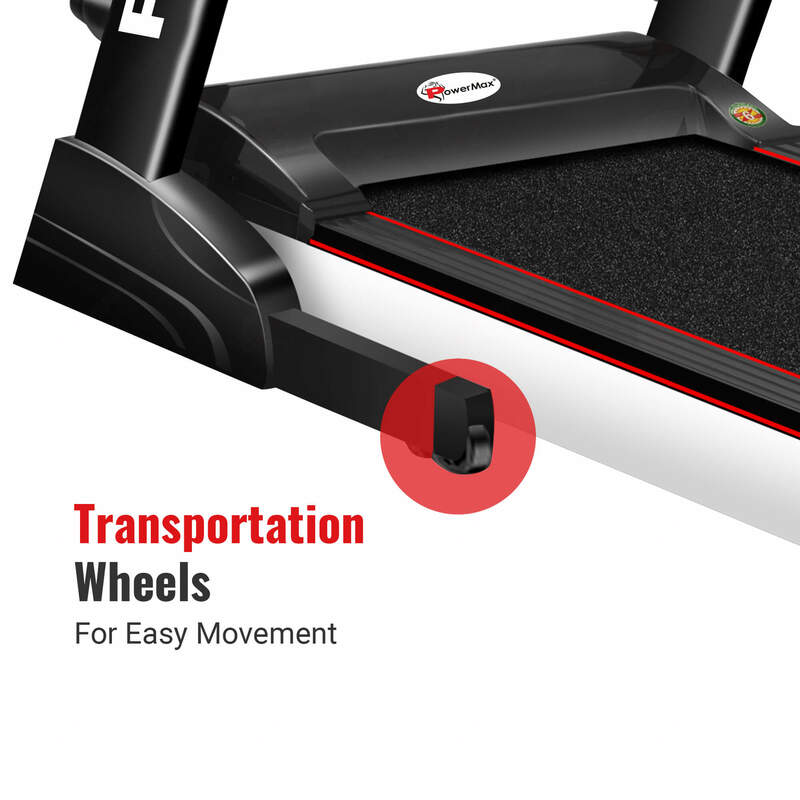 The TDM-125S motorized treadmill from Powermax Fitness is a great solution for getting a gym workout at home and office. 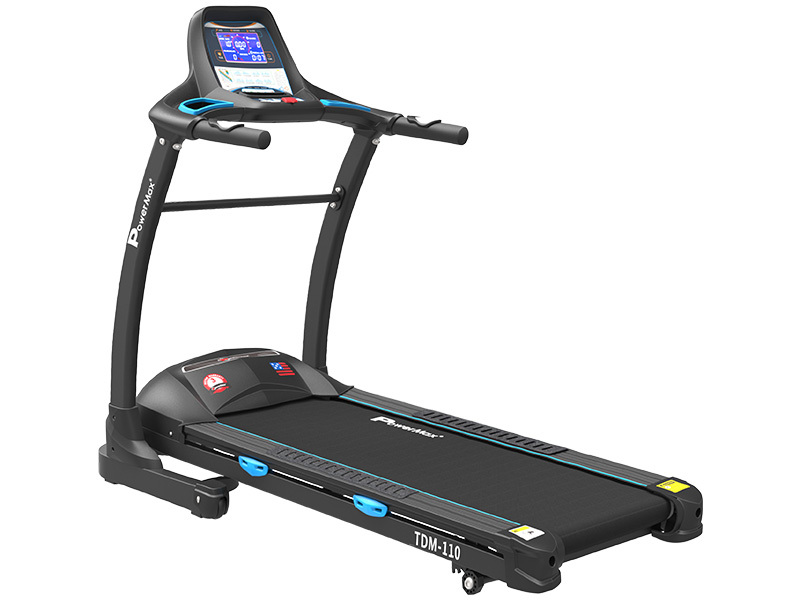 This treadmill features the Smart Run Function, which records activities and can be replayed the same whenever you workout for next time. 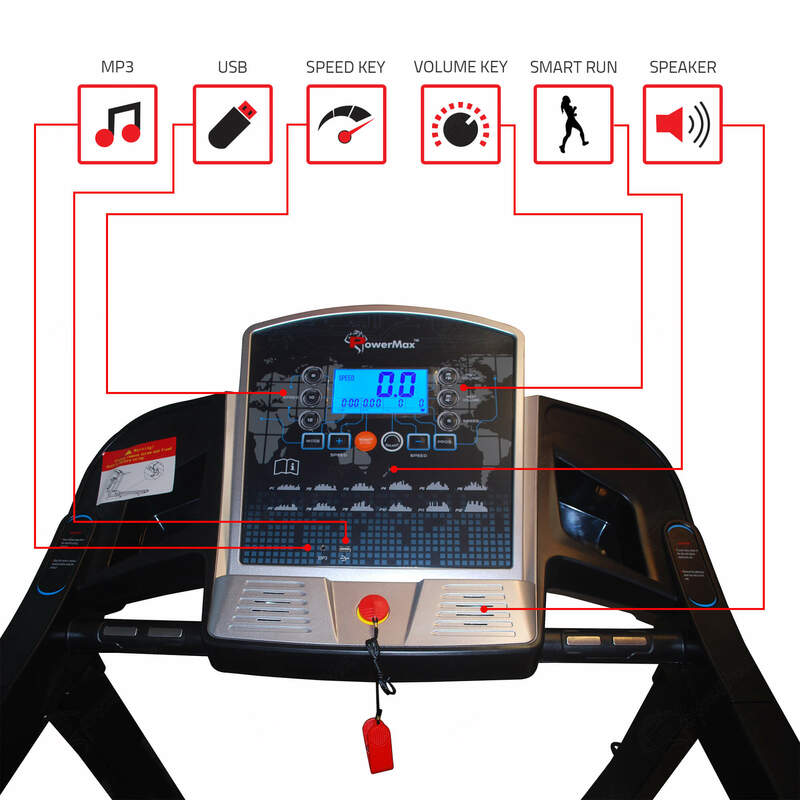 Consider this as an Easy to Define User Defined Program with the press of a single button. 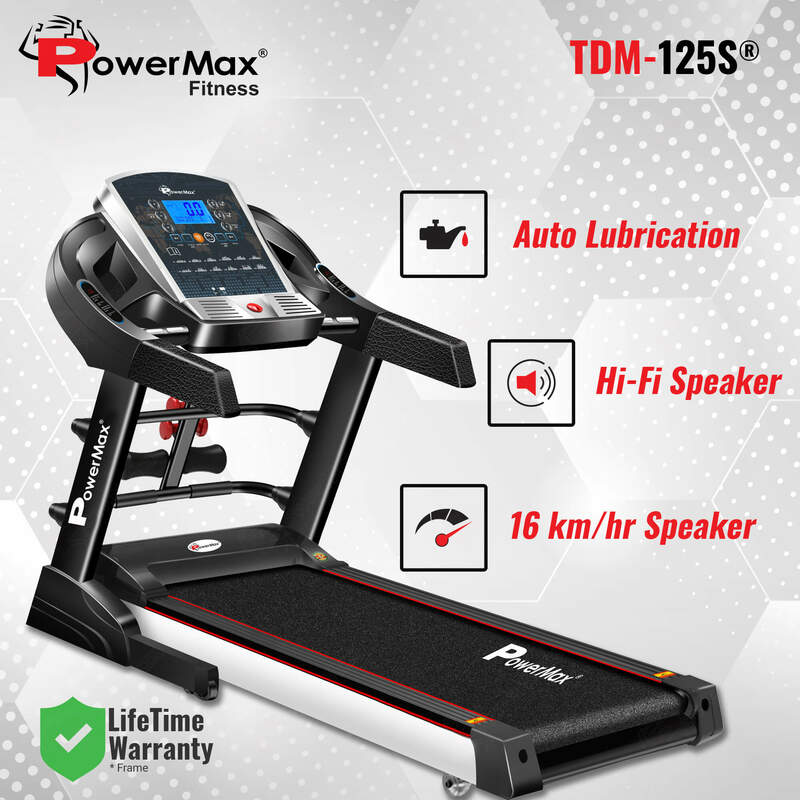 The Powermax Fitness TDM-125S Multi-function Treadmill with Smart Run Function offers the 2.0 HP DC Green efficient motor along with the width running surface of 1260 x 420mm. 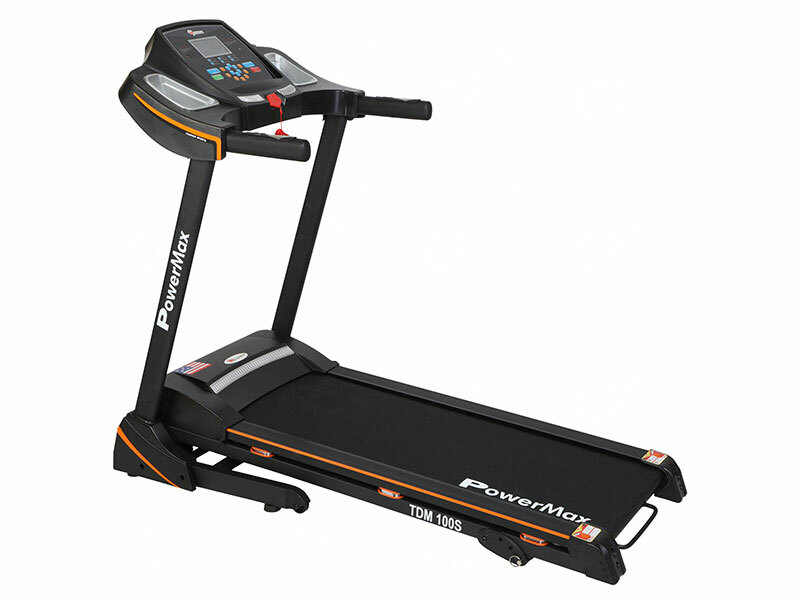 The TDM-125S motorized treadmill from Powermax Fitness is a great solution for getting a gym workout at home and office. 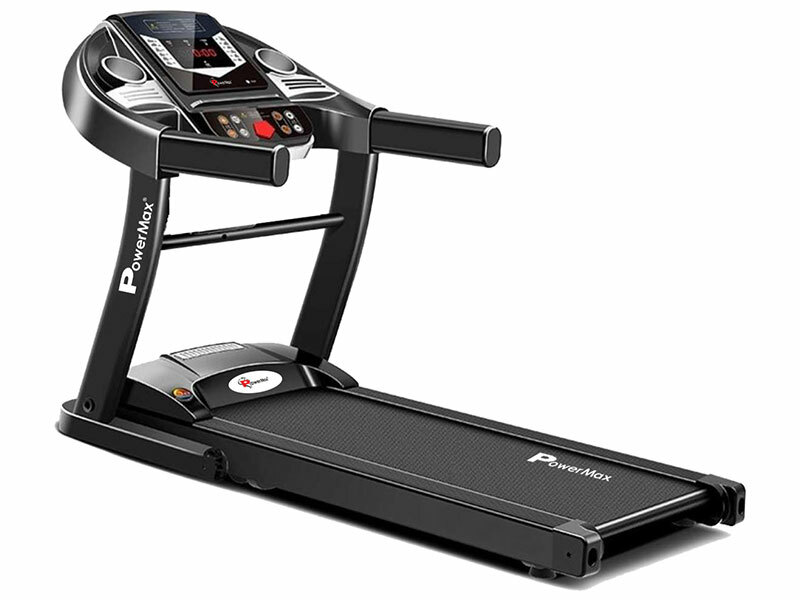 This treadmill features the Smart Run Function, which records activities and can be replayed the same whenever you workout for next time. 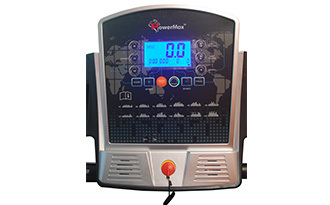 Consider this as an Easy to Define User Defined Program with the press of a single button. 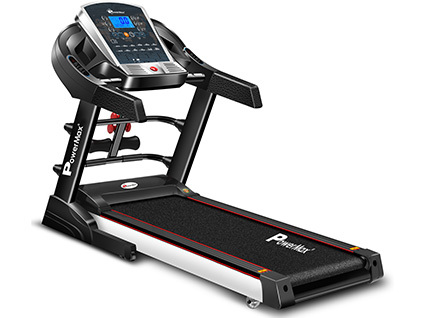 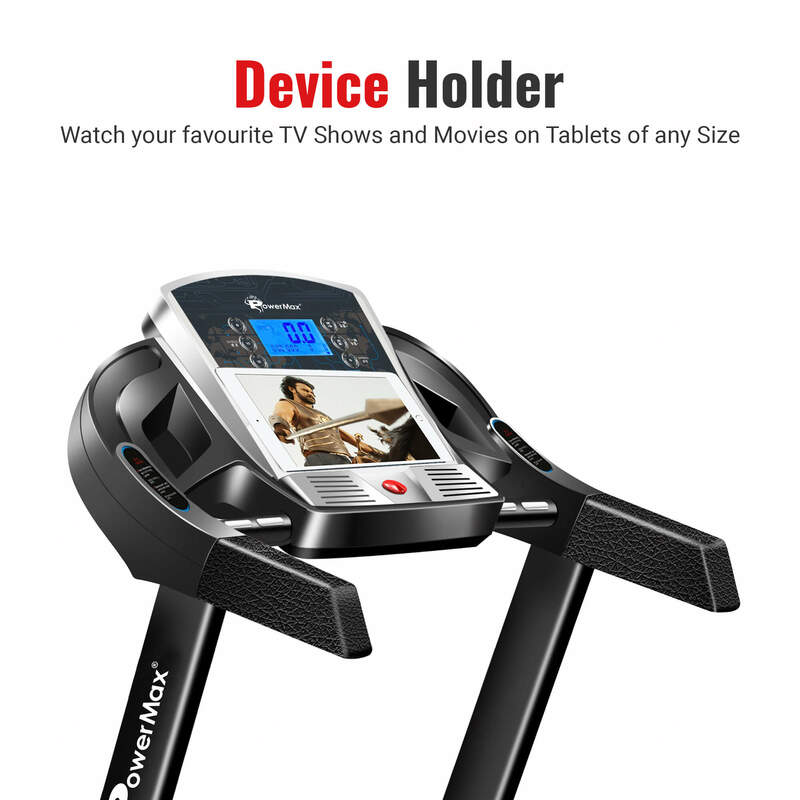 It all Features LCD display, a unique designed display, this treadmill provides Time, Distance, Calories, Speed, Pulse and Incline and the pre-set program provides 12 set of pre-defined workouts that offers a variety of challenges for you. 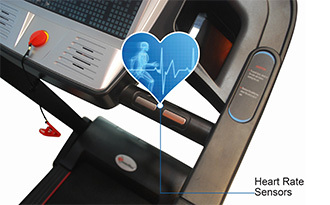 You can also calculate your BMI (Body Mass Index) using the FAT function and keep track of your body condition. 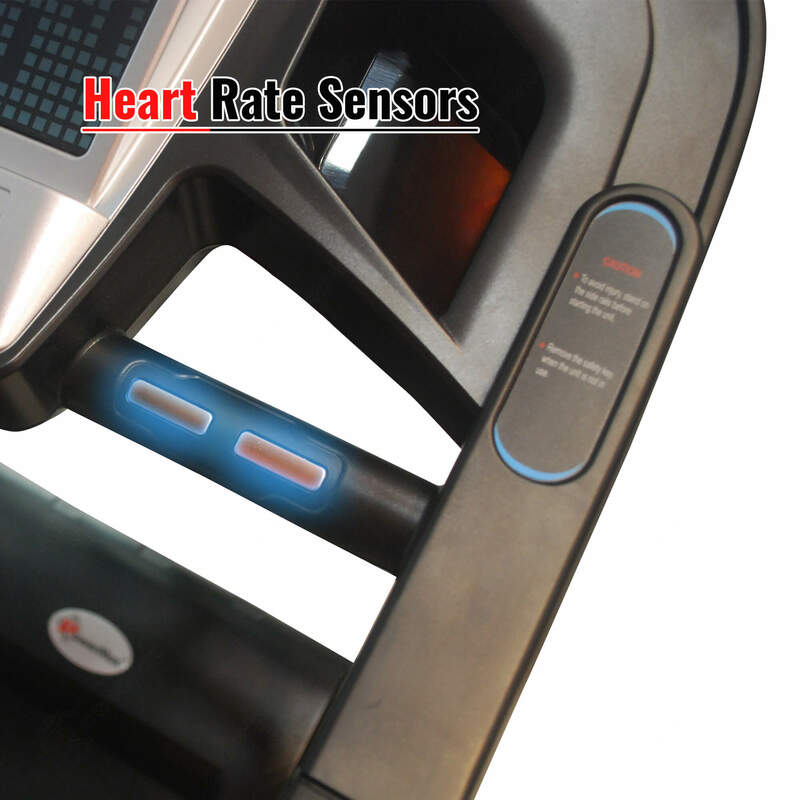 It also has Target Based Modes that allow you to set time, distance or calories to burn goal. 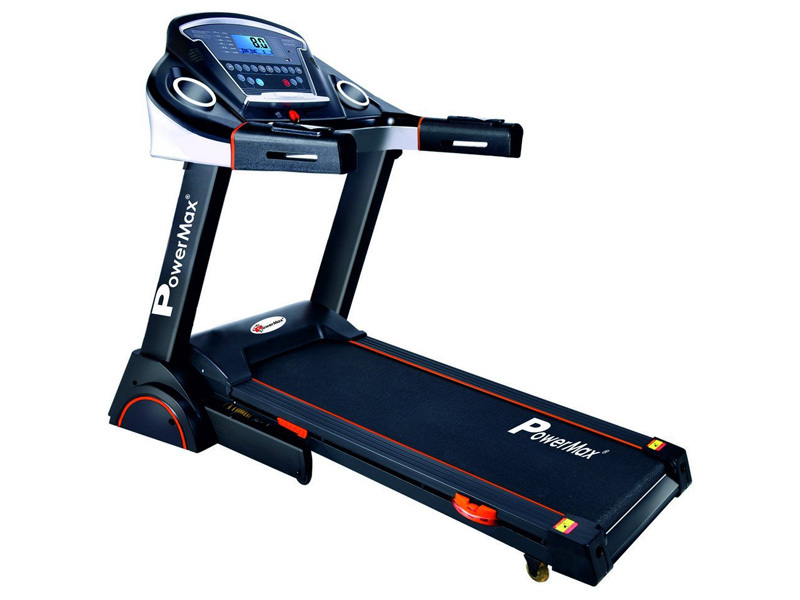 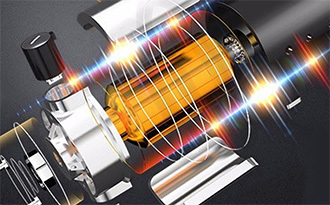 Adding lubrication oil to your treadmill is no longer a hectic job. 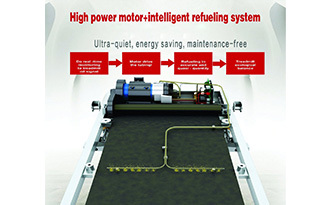 The TDM-125S has Auto Lubrication feature that makes the maintenance job simple, clean and easy only with a press of a button. 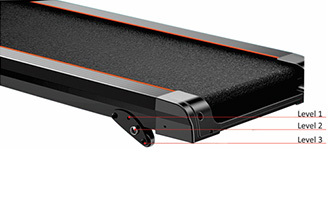 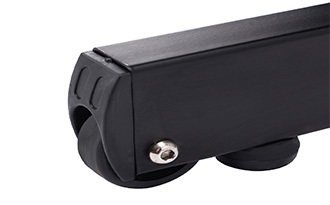 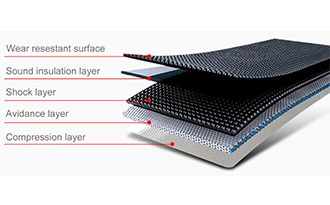 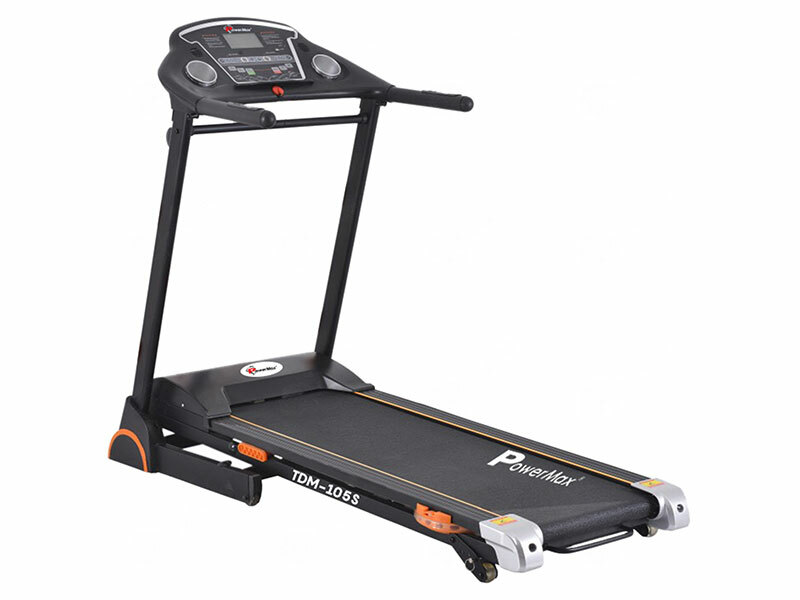 Lubricating the running belt ensures zero friction and smooth movement while using treadmill. 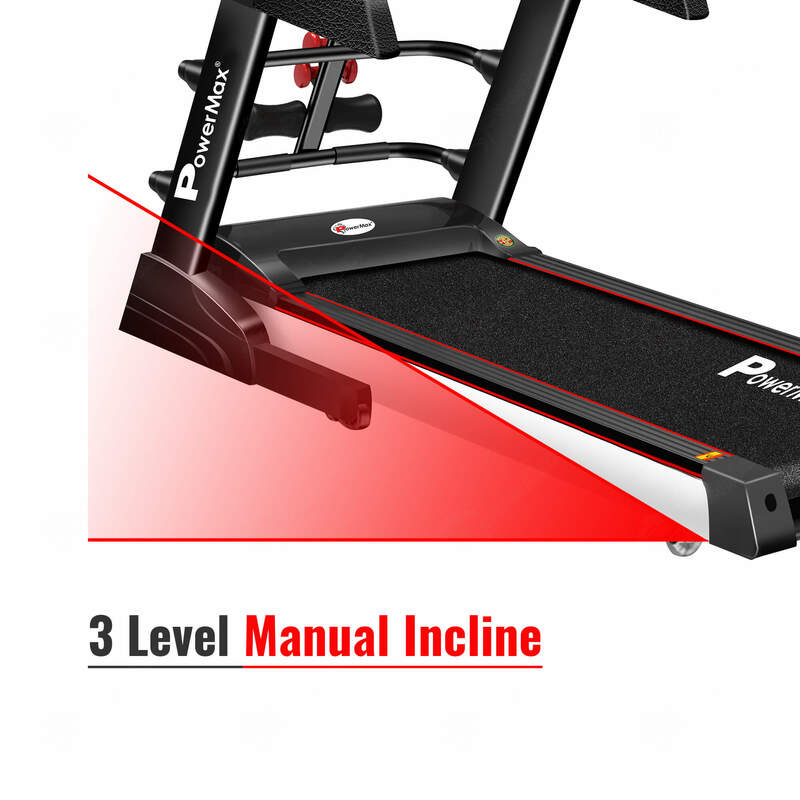 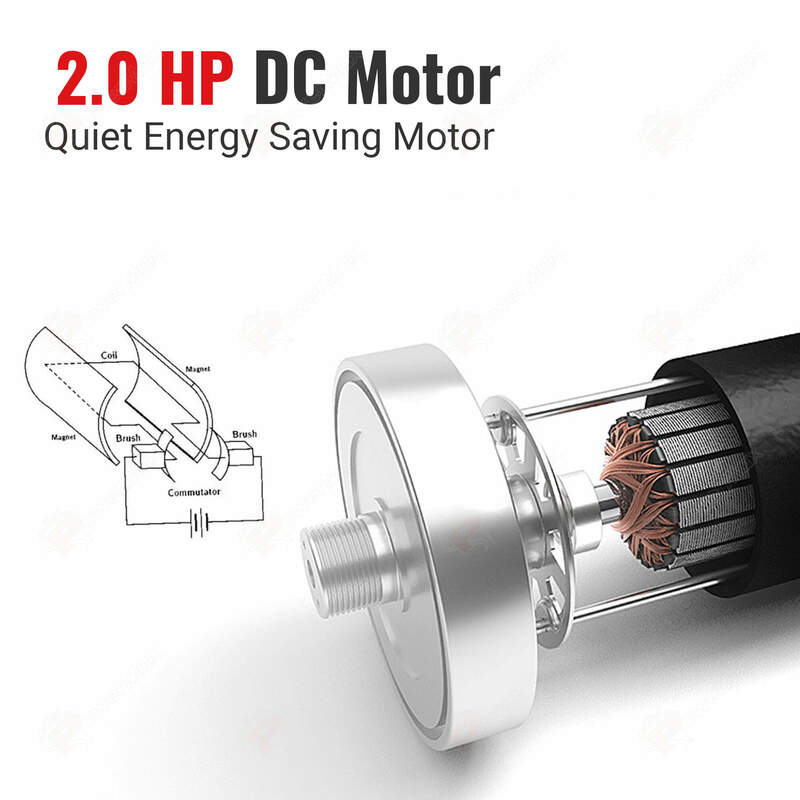 It helps to increase life of motor and running belt. 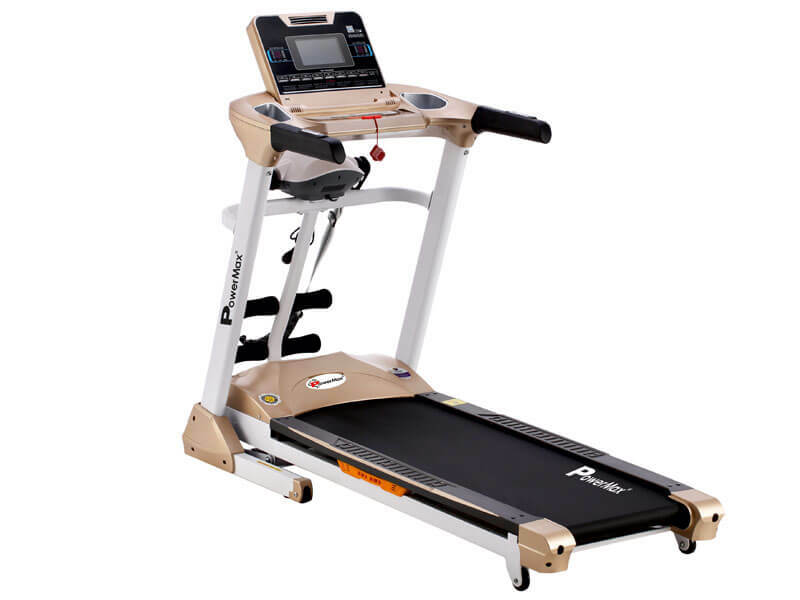 This treadmill is loaded with Multifunction utility including Powerful Massager for Hips, Thigh, Stomach etc, Dumbells, Twister and Sit-up Bracket. 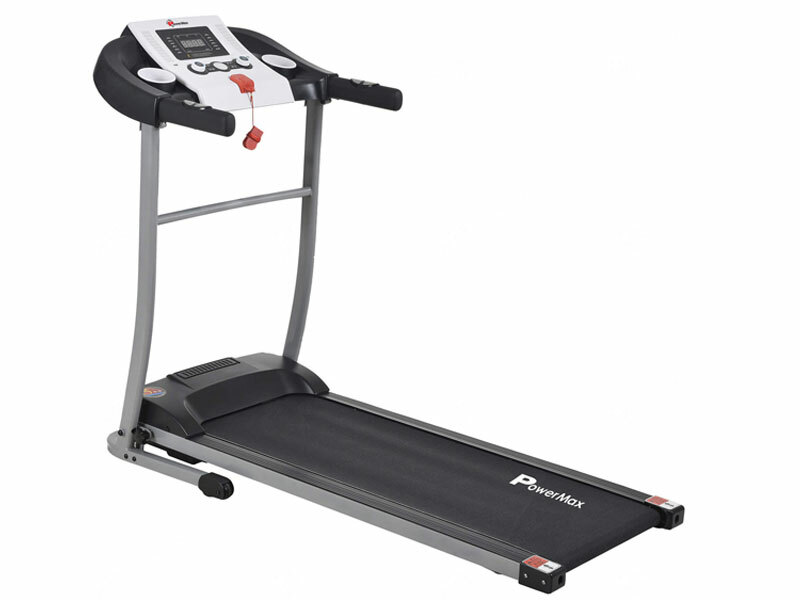 This Running Machine is an effective way to burn extra calories and achieve a healthy lifestyle. 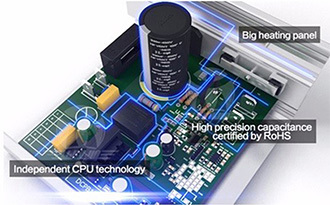 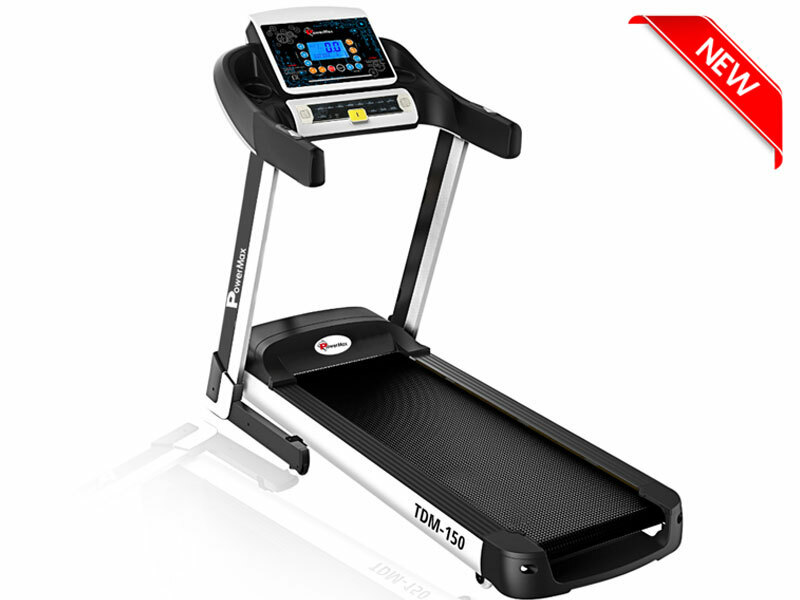 TDM-125S treadmill has a built in auto-stop function. 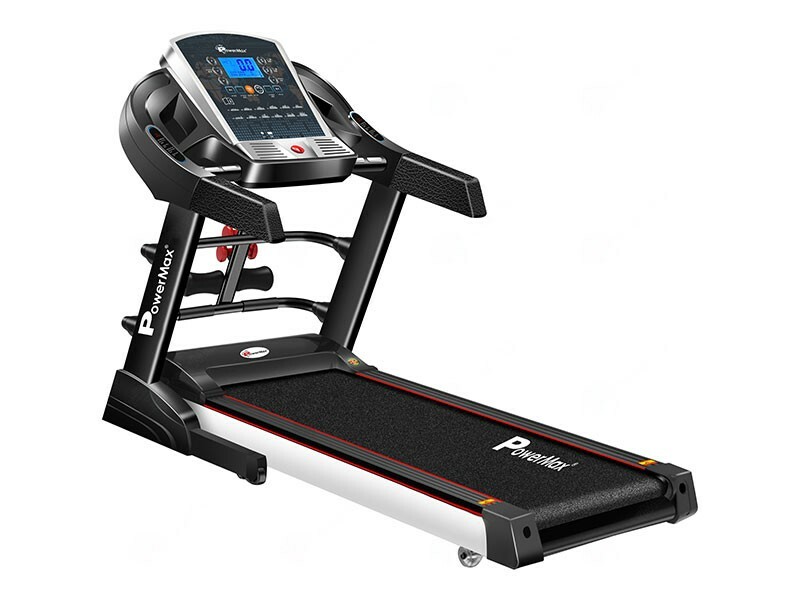 When running you can simply attach the safety clip to your clothes and run as normal, it will auto stop if you fall or drift back dangerously on the treadmill. 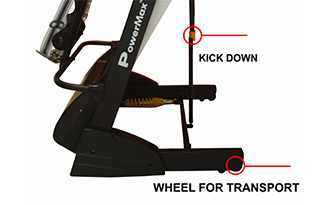 The auto stop function minimizes the risk of injury. 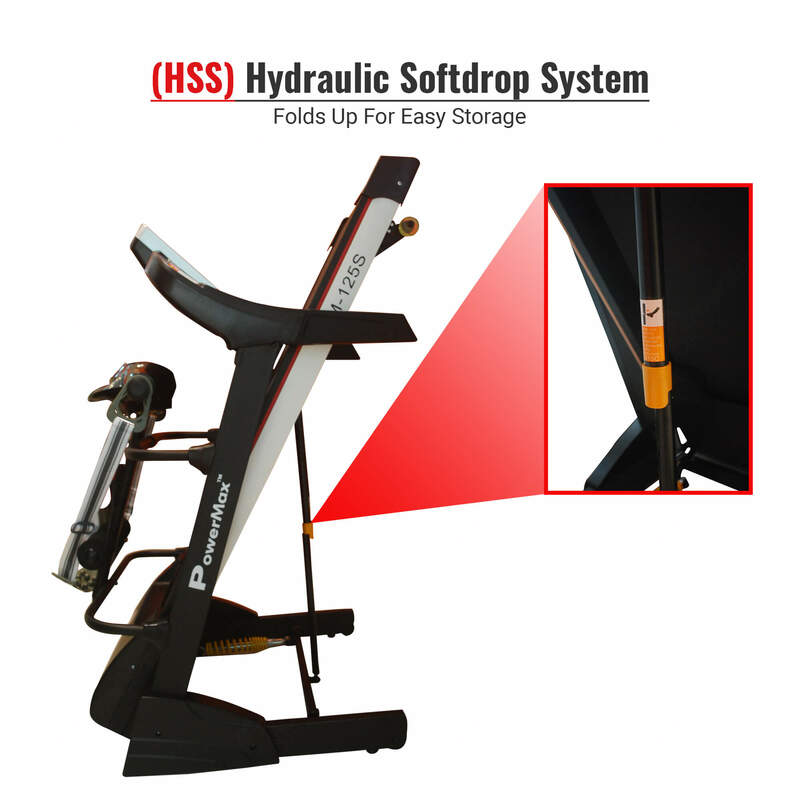 Multifunction Massager, Dumbbell, Sit-up, and Twister for waist.